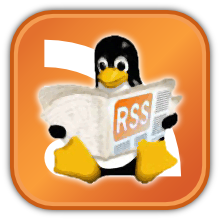 Home » » Top 10 blog posts for December 2015 from Linuxlandit & The Conqueror Penguin. Top 10 blog posts for December 2015 from Linuxlandit & The Conqueror Penguin. 1.- Dead Cyborg first person view, hard-sci-fi adventure game. 2.- Dot-to-Dot Adventure Free Learn Numbers and Letters. 3.- Aspyr Media behind the success of Linux and SteamOS. 4.- The purpose of Freedoom project. 5.- Google Art Project is an online platform for access to the works housed in museums partners. 7.- Aseprite is an open source program to create animated sprites & pixel: Color. 8.- Aseprite is an open source program to create animated sprites & pixel: Sprite structure. 9.- Aseprite is an open source program to create animated sprites & pixel: Context Bar. 10.- Aseprite is an open source program to create animated sprites & pixel: Timeline.